Our study examines pre-Columbian agricultural raised fields in the Bolivian Amazon. It provides a new interpretation for pre-Columbian management of raised fields. The results show that differences in field size and height are the result of an adaptation to a site where soil properties vary significantly on a scale of tens to hundreds of meters. The analysis and dating of the raised fields sediments point towards an extensive and rather brief use of the raised fields, for about 100–200 years. In the present paper we explore to what degree soil properties might have influenced pre-Columbian settlement patterns in the Monumental Mounds Region (MMR) of the Llanos de Moxos (LM), Bolivian Amazon. This study provides new data on the soil properties of the south-eastern Bolivian Amazon and reinforces the hypothesis that environmental constraints and opportunities exerted an important role on pre-Columbian occupation patterns and the population density reached in the Bolivian Amazon. 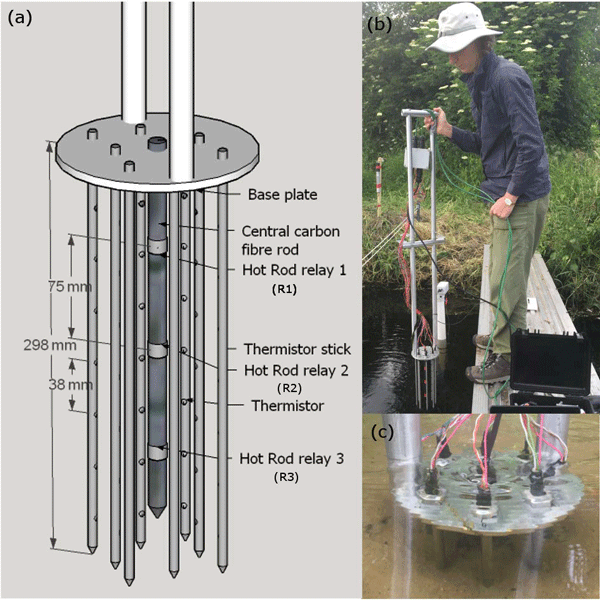 This study used a portable 56-sensor, 3-D temperature array with three heat pulse sources to measure the flow direction and magnitude below the water–sediment interface. Breakthrough curves from each of the sensors were analyzed using a heat transport equation. The use of short-duration heat pulses provided a rapid, accurate assessment technique for determining dynamic and multi-directional flow patterns in the hyporheic zone and is a basis for improved understanding of biogeochemical processes. This paper describes instances in the Grand Canyon study area and a laboratory experiment in which very high suspended-sediment concentrations result in incorrectly low turbidity recorded with a commonly used field instrument. If associated with the monitoring of a construction or dredging project, false low turbidity could result in regulators being unaware of environmental damage caused by the actually much higher turbidity. Backward erosion piping is the cause of a significant percentage of failures and incidents involving dams and river embankments. In the past 20 years fibre-optic Distributed Temperature Sensing (DTS) has proved to be effective for the detection of leakages and internal erosion in dams. This work investigates the effectiveness of DTS for monitoring backward erosion piping in river embankments. Data from a large-scale piping test performed on an instrumented dike are presented and discussed. Citizens can contribute to science by providing data, analysing them and as such contributing to decision-making processes. For example, citizens have collected water levels from gauges, which are important when simulating/forecasting floods, where data are usually scarce. This study reviewed such contributions and concluded that integration of citizen data may not be easy due to their spatio-temporal characteristics but that citizen data still proved valuable and can be used in flood modelling. We show the utility of ground-based time-lapse cameras for automated monitoring of stream stage and flow characteristics. High-frequency flow stage, water surface width and other information on the state of flow can be acquired for extended time periods with simple local calibration using a low-cost time-lapse camera and a few simple field measurements for calibration and for automated image selection and sorting. The approach is a useful substitute or complement to the conventional stage data. We characterized groundwater–lake exchange patterns and identified their controls based on extensive field measurements. Our measurement design bridges the gap between the detailed local characterisation and low resolution regional investigations. Results indicated strong spatial variability in groundwater inflow rates: large scale inflow patterns correlated with topography and the groundwater flow field and small scale patterns correlated with grainsize distributions of the lake sediment. We tested the usefulness of stream level class data for hydrological model calibration. Only two stream level classes, e.g. above or below a rock in the stream, were already informative, particularly when the boundary was chosen at a high stream level. There was hardly any improvement in model performance when using more than five stream level classes. These results suggest that model based streamflow time series can be obtained from citizen science based water level class data. Accurate estimation of stream/river flows is important in many aspects, including public safety during floods, effective uses of water resources for hydropower generation and irrigation, and environments. In this paper, we investigated a feasibility of the continuous slope area (CSA) method which measures dynamic changes in instantaneous water surface elevations, and the results showed promising capabilities of the suggested method for the accurate estimation of flows in natural streams/rivers. Unmanned aerial vehicles (UAVs) have the potential to capture information about the earth’s surface in dangerous and previously inaccessible locations. Here we present a method whereby image acquisition and subsequent analysis have enabled the highly dynamic and oft-immeasurable hydraulic phenomenon present during high-energy flash floods to be quantified at previously unattainable spatial and temporal resolutions. This paper uses the natural geochemical tracer Rn together with streamflow measurements to differentiate between actual groundwater inflows and water that exits the river, flows through the near-river sediments, and subsequently re-enters the river downstream (parafluvial flow). Distinguishing between these two components is important to understanding the water balance in gaining streams and in managing and protecting surface water resources. The study indicated that CDOM in rivers had higher aromaticity, molecular weight, and vascular plant contribution than in terminal lakes in the Hulun Buir plateau, Northeast China. The autochthonous sources of CDOM in plateau waters were higher than in other freshwater rivers reported in the literature. Study of the optical–physicochemical correlations is helpful in the evaluation of the potential influence of water quality factors on non-water light absorption in plateau water environments. We introduce a new online global database of riverine water stable isotopes (Global Network of Isotopes in Rivers) and evaluate its longer-term data holdings. A regionalized, cluster-based precipitation isotope model was used to compare measured to predicted isotope compositions of riverine catchments. The study demonstrated that the seasonal isotopic composition and variation of river water can be predicted, which will improve the application of water stable isotopes in rivers. Here, we give a semi-automated processing workflow to extract hydraulic parameters from over 10,000 time-lapse images of the remote Isortoq River in Greenland. This workflow allows efficient and accurate (mean accuracy 79.6%) classification of images following an automated similarity filtering process. 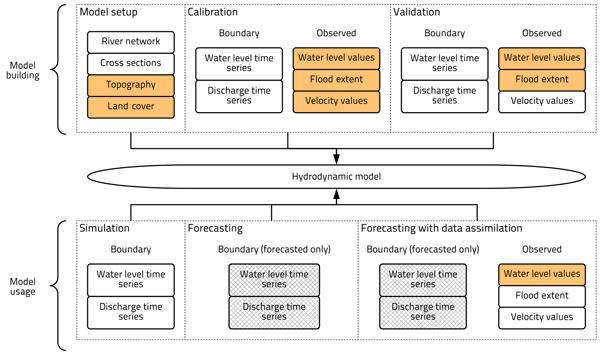 We also give an effective width hydrograph (a proxy for discharge) for the Isortoq using this workflow, showing the potential of this workflow for enhancing understanding of remote rivers. Arnaud, F., Revel, M., Chapron, E., Desmet, M., and Tribovillard, N.: 7200 years of Rhône river flooding activity in Lake Le Bourget, France: a high–resolution sediment record of NW Alps hydrology, The Holocene, 15, 420–428, 2005. Bork, H.-R. and Bork, H.: Extreme jungholozäne hygrische Klimaschwankungen in Mitteleuropa und ihre Folgen, Eiszeitalter und Gegenwart, 37, Hannover, 109–118, 1987. Büntgen, U., Frank, D. C., Nievergelt, D., and Esper, J.: Summer Temperature Variations in the European Alps, A.D. 755–2004, J. Climate, 19, 5606–5623, 2006. Büntgen, U., Tegel, W., Nicolussi, K., McCormick, M., Frank, D., Trouet, V., Kaplan, J. O., Herzig, F., Heussner, K.-U., Wanner, H., Luterbacher, J., and Esper, J.: 2500 years of European climate variability and human susceptibility, Science, 331, 578–582, 2011. Carvalho, F.: Análisis multi–proxy paleoambiental y modelización de registros sedimentarios fluviales en los Alpes Suizos, Ph.D. thesis, University of Barcelona, Spain, 259 pp., 2014. 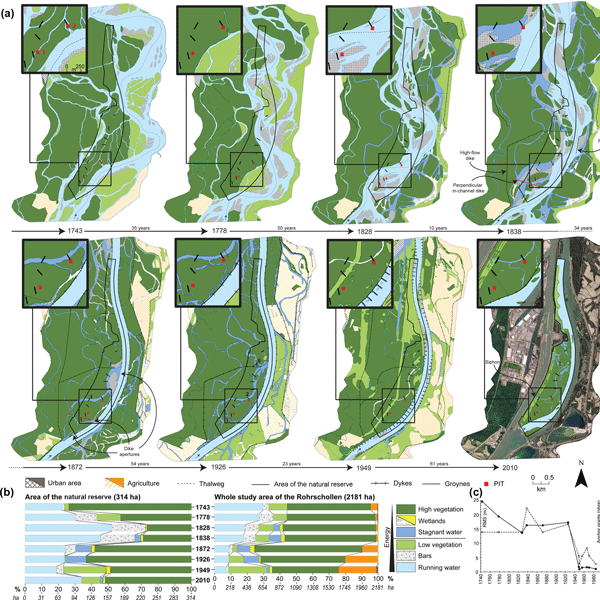 Carvalho, F. and Schulte, L.: Morphological control on sedimentation rates and patterns of delta floodplains in the Swiss Alps, Geomorphology, 198, 163–176, 2013. Ebersbach, R., Hoyer, W., and Zahnd, E.: Ein "Repräsentatives Inventar" für den Kanton Bern?, Archäologie Bern 2010, Bern, Switzerland, 249–271, 2010. Gao, C., Robock, A., and Ammann, C.: Volcanic forcing of climate over the past 1500 years: An improved ice core–based index for climate models, J. Geophys. Res., 113, D23111, https://doi.org/10.1029/2008JD010239, 2008. Gees, A.: Analyse historischer und seltener Hochwasser in der Schweiz: Bedeutung für das Bemessungshochwasser, Geographica Bernensia G53, Bern, Switzerland, 1997. Glaser, R.: Klimageschichte Mitteleuropas. 1000 Jahre Wetter, Klima, Katastrophen, Wissenschaftliche Buchgesellschaft Darmstadt, Darmstadt, 227 pp., 2001. Glur, L., Wirth, S. B., Büntgen, U., Gilli, A., Haug, G. H., Schär, C., Beer, J., and Anselmetti, F. S.: Frequent floods in the European Alps coincide with cooler periods of the past 2500 years, Scientific Reports, 3, 2770, https://doi.org/10.1038/srep02770, 2013. Gutscher, D.: Die Michaelskirche von Meiringen als archäologischer Zeuge früherer Naturkatastrophen, Archäologie Bern, Jahrbuch des Archäologischen Dienstes des Kanton Bern, Bern, Switzerland, 133–148, 2008. Guyard, H., Chapron, E., St–Onge, G., Anselmetti, F. S., Arnaud, F., Magand, O., Francus, P., and Mélières, M.-A. : High–altitude varve records of abrupt environmental changes and mining activity over the last 4000 years in the Western French Alps (Lake Bramant, Grandes Rousses Massif), Quat. Sci. Rev., 26, 2644–2660, 2007. Hählen, N.: Geschichte der Korrektion der Aare zwischen Meiringen und Brienz und Entsumpfung des Haslitals, Oberingenieurskreis I, Tiefbauamt des Kantons Bern, Thun, 15 pp., 2007. Hählen, N.: Murgänge Spreitgraben Guttannen: Fachleute Naturgefahren Schweiz, available at: FAN; www.planat.ch/de/partner/fan/ (last access: 23 February 2012), Nationale Plattform Naturgefahren PLANAT, Bern, Switzerland, 11 pp., 2010. Hansen, J., Ruedy, R., Sato, M., and Lo, K.: Global surface temperature change, Revs. Geophys., 48, 1–19, 2010. Hantke, R.: Eiszeitalter, Die jüngste Erdgeschichte der Schweiz und ihrer Nachbargebiete. Bd. 1, Ott, Thun, Switzerland, 1980. Hartmann, D. L., Klein Tank, A. M. G., Rusticucci, M., Alexander, L. V., Brönnimann, S., Charabi, Y., Dentener, F. J., Dlugokencky, E. J., Easterling, D. R., Kaplan, A., Soden, B. J., Thorne, P. W., Wild, M., and Zhai, P. M.: Observations: Atmosphere and surface, in: Climate change 2013: The physical science basis, edited by: Stocker, T. F., Qin, D., Plattner, G. K., Tignor, M., Allen, S. K., Boschung, J., Nauels, A., Xia, Y., Bex, V., and Midgley, P. M., Intergovernmental Panel on Climate Change, Working Group I Contribution to the IPCC Fifth Assessment Report (AR5), Cambridge Univ Press, New York, 159–254, 2013. Heiri, O., Lotter, A. F., and Lemcke, G.: Loss on ignition as a method for estimating organic and carbonate content in sediments: reproducibility and comparability of results, J. Paleolimnol., 25, 101–110, 2001. Herget, J., Kapala, A., Krell, M., Rustemeier, E., Simmer, C., and Wyss, A.: The millennium flood of July 1342 revisited, Catena, Elsevier Publication, ISSN0341–8162, https://doi.org/10.1016/j.catena.2014.12.010, 2014. Huggel, C., Clague, J., and Korup, O.: Is climate change responsible for changing landslide activity in high mountains?, Earth Surf. Process. Landf., 37, 77–91, 2012. Hurrell, J. W., Kushnir, Y., Visbeck, M., and Ottersen, G.: An overview of the North Atlantic Oscillation, in: The North Atlantic Oscillation, Climatic Significance and Environmental Impact, edited by: Hurrell, J. W., Kushnir, Y., Ottersen, G., and Visbeck, M., AGU Geophysical Monograph, Copyright by the American Geophysical Union, 134, 1–35, https://doi.org/10.1029/GM134, 2003. Inventar Historischer Verkehrswege der Schweiz: Strecke BE 44 Brienz–Meiringen, Bundesamt für Strassen ASTRA, Bern, Switzerland available at: http://www.bve.be.ch/bve/de/index/mobilitaet/mobilitaet_verkehr/langsamverkehr/historische_verkehrswege.html (last access: 23 February 2014), 1992. Irmler, R., Daut, G., and Mäusbacher, R.: A debris flow calendar derived from sediments of lake Lago di Braies (N. Italy), Geomorphology, 77, 69–78, 2006. Jones, A. F., Macklin, M. G., and Brewer, P. A.: A geochemical record of flooding on the upper River Severn, UK, during the last 3750 years, Geomorphology, 179, 89–105, 2012. Kiss, A.: Floods and weather in 1342 and 1343 in the Carpathian basin, J. Environ. Geogr., 2, 37–47, 2009. 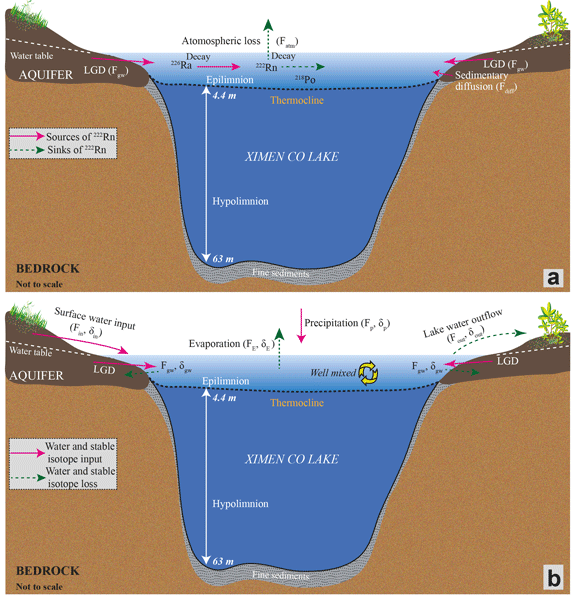 Koinig, K. A., Shotyk, W., Lotter A. F., Ohlendorf, C., and Sturm, M.: 9000 years of geochemical evolution of lithogenic major and trace elements in the sediment of an alpine lake – the role of climate, vegetation, and land–use history, J. Paleolimnol., 30, 307–320, 2003. Kurz, C. and Lerch, C.: Geschichte der Landschaft Hasli, 694 pp., Meiringen, Brügger AG, 1979. Kylander, M. E., Ampel, L., Wohlfarth, B., and Veres, D.: High–resolution X–ray fluorescence core scanning analysis of Les Echets (France) sedimentary sequence: New insights from chemical proxies, J. Quat. Sci., 26, 109–117, 2011. Laigre, L., Arnaud–Fassetta, G., and Reynard, E.: A 7300 year record of palaeohydrology in the Swiss Rhône River floodplain (Valais, Switzerland): Geomorphology and sustainability, 8th International conference (AIG) on Geomorphology, Paris, France, 27–31 August, p. 371, 2013. Llorca, J., Schulte, L., and Carvalho, F.: Dinámica sedimentaria histórica en el valle Hasli (Alpes Suizos), in: Avances de la Geomorfología en España 2012–2014, edited by: Schnabel, S. and Gómez Gutiérrez, A., XIII Reunión Nacional de Geomorfología, Cáceres, Spain, 9–12 September 2014, 36–39, 2014. Luterbacher, J., Xoplaki, E., Dietrich, D., Jones, P. D., Davies, T. D., Portis, D., Gonzalez–Rouco, J. F., von Storch, H., Gyalistras, D., Casty, C., and Wanner, H.: Extending North Atlantic Oscillation Reconstructions Back to 1500, Atmos. Sci. Lett., 2, 114–124, 2002. Maddy, D. and Brew, I. S.: Statistical Modelling of Quaternary Science Data. Technical Guide 5, Quaternary Research Association, Cambridge, 271 pp., 1995. Magny, M., Arnaud, F., Holzhauser, H., Chapron, E., Debret, M., Desmet, M., Leroux, A., Millet, L., Revel, M., and Vannière, B.: Solar and proxy–sensitivity imprints on palaeohydrological records for the last millennium in west–central Europe, Quat. Res., 73, 173–179, 2010. Magny, M., Peyron, O., Gauthier, E., Vannière, B., Millet, L., and Vermot–Desroches, B.: Quantitative estimates of temperature and precipitation changes over the last millennium from pollen and lake-level data at Lake Joux, Swiss Jura Mountains, Quat. Res., 75, 45–54, 2011. Marlot, A. v.: Die Wildbachverbauung in der Schweiz, Zeits. f. Bauwesen, 65, 280–304, 1915. Mätzener, H.: Haslital, Haslitaler, Haslitalerberge: Porträt einer Landschaft und ihrer Menschen, Brügger (4.edit), Meiringen, Switzerland, 20 pp., 1984. Mirani, A.: Karte topographique der Aare uber Haslital zum Brienzersee, Bern, Switzerland, 1766. Pèlachs, A., Julià, R., Pérez–Obiol, R., Soriano, J. M., Bal, M. C., Cunill, R. and Catalan, J.: Potential influence of bond events on mid–holocene climate and vegetation in southern Pyrenees as assessed from Burg lake LOI and pollen records, Holocene, 21, 95–104, 2011. Peña, J. C. and Schulte, L.: Effects of solar activities and climate variability on large floods in Switzerland, Bol. Asoc. Geóg. Esp., 65, 469–475, 2014. Peña, J. C., Schulte, L., Badoux, A., Barriendos, M., and Barrera-Escoda, A.: Influence of solar forcing, climate variability and atmospheric circulation patterns on summer floods in Switzerland, Hydrol. Earth Syst. Sci. Discuss., 11, 13843–13890, https://doi.org/10.5194/hessd-11-13843-2014, 2014. Percival, D. B. and Walden, A. T.: Spectral analysis for physical applications: multitaper and conventional univariate techniques, Cambridge University Press, Cambridge, 583 pp., 1993. Pfister, C.: Wetternachhersage. 500 Jahre Klimavariationen und Naturkatastrophen, Haupt, Bern, 304 pp., 1999. Pfister, C. and Hächler, S.: Überschwemmungskatastrophen im Schweizer Alpenraum seit dem Spätmittelalter, Würzburger Geographische Arbeiten, 80, 127–148, 1991. Reimer P. J., Baillie, M. G. L., Bard, E., Bayliss, A., Beck, J. W., Bertrand, C., Blackwell, P. G., Buck, C. E., Burr, G., Cutler, K. B., Damon, P. E., Edwards, R. L., Fairbanks, R. G., Friedrich, M., Guilderson, T. P., Hughen, K. A., Kromer, B., McCormac, F. G., Manning, S., Bronk Ramsey, C., Reimer, R. W., Remmele, S., Southon, J. R., Stuiver, M., Talamo, S., Taylor, F. W., van der Plicht, J., and Weyhenmeyer, C. E.: IntCal04 Terrestrial Radiocarbon Age Calibration, 0–26 Cal Kyr BP., Radiocarbon, 46, 1029–1058, 2004. Richli, B. and Andres, M.: HWS Aare Bödeli, Untersuchungen zur Zweckmässigkeit von Schutzmassnahmen, Oberingenieurskreis I, Tiefbauamt des Kanton Bern, Thun, 139 pp., 2012. 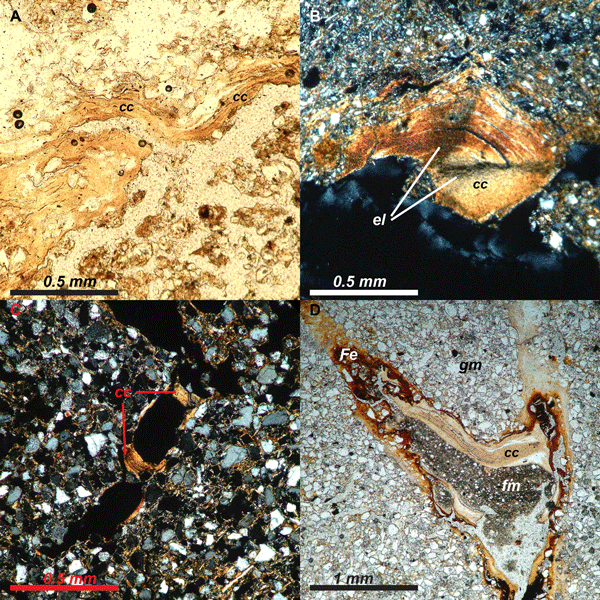 Röhl, U. and Abrams, L.: High resolution, downhole, and nondestructive core measurements from Sites 999 and 1001 in the Caribbean Sea: Application to the late Paleocene thermal maximum, Proc. Ocean Drill. Program, Sci. Results, 165, 191–204, 2000. Röthlisberger, G.: Chronik der Unwetterschäden in der Schweiz, WSL Bericht 330, Eidgenössische Forschungsanstalt für Wald, Schnee und Landschaft, Birmensdorf, 1991. Santisteban, J. I., Mediavilla, R., López–Pamo, E., Dabrio, C. J., Ruiz, M. B., Gil, M. J., Castaño, S., and Martínez-Alfaro, P. E.: Loss on ignition: a qualitative or quantitative method for organic matter and carbonate mineral content in sediments?, J. Paleolimnol., 32, 287–299, 2004. Schaer, A.: Untersuchungen zum prähistorischen Bergbau im Oberhalbstein (Kanton Graubünden), Jahrbuch der Schweizerischen Gesellschaft für Ur- und Frühgeschichte, SGUF-Publikationen, Basel, 86, 7–54, 2003. Schmocker-Fackel, P. and Naef, F.: Changes in flood frequencies in Switzerland since 1500, Hydrol. Earth Syst. Sci., 14, 1581–1594, https://doi.org/10.5194/hess-14-1581-2010, 2010. Schulte, L., Julià, R., Oliva, M., Burjachs, F., Veit, H., and Carvalho, F.: Sensitivity of Alpine fluvial environments in the Swiss Alps to climate forcing during the Late Holocene, Sediment Dynamics in Changing Environments, IAHS Publ. 325, 367–374, 2008. Schulte, L., Veit, H., Burjachs, F., and Julià, R.: Lütschine fan delta response to climate variability and land use in the Bernese Alps during the last 2400 years, Geomorphology, 108, 107–121, 2009a. Schulte, L., Julià, R., Veit, H., and Carvalho, F.: Do high resolution fan delta records provide a useful tool for hazard assessment in mountain regions?, Int, J. Clim. Change Strat. Manage., 2, 197–210, 2009b. Schulte, L., Peña, J. C., Julià, R., Carvalho, F., Llorca, J., Losada, J., Burjachs, F., Schmidt, T., Rubio, P., and Veit, H.: Climate forcing of paleofloods in the Swiss Alps, in: Avances de la Geomorfología en España 2012–2014, edited by: Schnabel, S. and Gómez Gutiérrez, A., XIII Reunión Nacional de Geomorfología, Cáceres, Spain, 9–12 September, 2014, 36–39, 2014. Schulz, M. and Mudelsee, M.: REDFIT: estimating red noise spectra directly from unevenly spaced paleoclimatic time series, Comp. Geosci., 28, 421–426, 2002. Schulz, M. and Statteger, K.: SPECTRUM: spectral analysis of unevenly spaced paleoclimatic time series, Comp. Geosci., 23, 929–945, 1997. Siegel, A. F.: The noncentral chi-squared distribution with zero degrees of freedom and testing for uniformity, Biometrika, 66, 381–386, 1979. Siegenthaler, C. and Sturm, M.: Die Häufigkeit von Ablagerungen extremer Reuss–Hochwasser, Die Sedimentationsgeschichte im Urnersee seit dem Mittelalter, Mitteilungen des Bundesamtes für Wasserwirtschaft, 4, 127–139, 1991. Stewart, M. M., Grosjean, M., Kuglitsch, F. G., Nussbaumer, S. U., and von Gunten, L.: Reconstructions of late Holocene paleofloods and glacier length changes in the Upper Engadine, Switzerland (ca. 1450 BC–AD 420), Palaeogeogr. Palaeoclimatol. Palaeoecol. 311, 215–223, 2011. Stucki, P., Rickli, R., Brönnimann, S., Martius, O., Wanner, H., Grebner, D., and Luterbacher, J.: Weather patterns and hydro-climatological precursors of extreme floods in Switzerland since 1868, Meteorol. Zeitschr., 21, 531–550, 2012. Stuiver, M., Braziunas, T. F., Grootes, P. M., and Zielinski, G. A.: Is there evidence for solar forcing of climate in the GISP2 oxygen isotope record?, Quat. Res., 48, 259–266, 1997. Stuiver, M., Reimer, P. J., and Reimer, R. W.: CALIB Rev 7.0.2 [WWW program and documentation], available at: http://calib.qub.ac.uk/calib/calib.html, last access: 15 April 2014. Sturm, K., Glaser, R., Jacobeit, J., Deutsch, M., Brázdil, R., Pfister, C., Luterbacher, J., and Wanner, H.: Hochwasser in Mitteleuropa seit 1500 und ihre Beziehung zur atmosphärischen Zirkulation, Petermanns Geographische Mitteilungen, 145, 14–23, 2001. Tebbens, L. A., Veldkamp, A., van Dijke, J. J., and Schoorl, J. M.: Modelling longitudinal-profile development in response to Late Quaternary tectonics, climate and sea-level changes; the River Meuse, Global Planet. Change, 27, 165–186, 2000. Trachsel, M., Kamenik, C., Grosjean, M., McCarroll, D., Moberg, A., Brázdil, R., Büntgen, U., Dobrovolný, P., Esper, J., Frank, D. C., Friedrich, M., Glaser, R., Larocque–Tobler, I., Nicolussi, K., and Riemann, D.: Multi–archive summer temperature reconstruction for the European Alps, AD 1053–1996, Quat. Sci. Rev., 46, 66–79, 2012. Versteegh, G. J.: Solar forcing of climate. 2: Evidence from the past, Space Sci. Rev., 120, 243–286, 2005. Vischer, D.: Die Geschichte des Hochwasserschutzes in der Schweiz. Von den Anfängen bis ins 19. Jahrhundert, Berichte des BWG, Serie Wasser, Bern, 208 pp., 2003. Weingartner, R., Barben, M., and Spreafico, M.: Floods in mountain areas – an overview based on examples from Switzerland, J. Hydrol., 282, 10–24, 2003. Weiss, D., Shotyk, W., Appleby, P. G., Cheburkin, A. K., and Kramers, J. D.: Atmospheric Pb deposition since the Industrial Revolution recorded by five Swiss peat profiles: Enrichment factors, fluxes, isotopic composition, and sources, Environ. Sci. Technol., 33, 1340–1352, 1999. Wetter, O., Pfister, C., Weingartner, R., Luterbacher, J., Reist, T., and Trösch, J.: The largest floods in the High Rhine basin since 1268 assessed from documentary and instrumental evidence, Hydrol. Sci. J., 56, 733–758, 2011. Wilhelm, B., Arnaud, F., Sabatier, P., Crouzet, C., Brisset, E., Chaumillon, E., Disnar, J.-R., Guiter, F., Malet, E., Reyss, J.-L., Tachikawa, K., Bard, E., and Delannoy, J.-J. : 1400-years of extreme precipitation patterns over the Mediterranean French Alps and possible forcing mechanisms, Quat. Res., 78, 1–12, 2012. Willi, A.: Die Korrektion der Aare und Entsumpfung des Haslitales, Referat gehalten in der Versammlung der Oekonomischen Gesellschaft in Meiringen den 23. Mai 1880, Buchdruckerei H. Ebinger, Meiringen, 64 pp., 1932. Wirth, S. B., Girardclos, S., Rellstab, C., and Anselmetti, F. S.: The sedimentary response to a pioneer geo-engineering project: Tracking the Kander River deviation in the sediments of Lake Thun (Switzerland), Sedimentology, 58, 1737–1761, 2011. Wirth, S. B., Glur, L., Gilli, A., and Anselmetti, F. S.: Holocene flood frequency across the Central Alps – solar forcing and evidence for variations in North Atlantic atmospheric circulation, Quat. Sci. Rev., 80, 112–128, 2013. Zbinden, E.: Das Magdalenen–Hochwasser von 1342 – der "hydrologische Gau" in Mitteleuropa, Wasser Energie Luft, 103, 193–203, 2011.